Last few years, many local Taiwanese communities held the annual “Hello Taiwan” charity event and raised over $50,000 to support Breezy Point firemen whose houses burned down in Hurricane Sandy, domestic violence victims in Queens and Brooklyn, typhoon victims in the Philippines, concert fire burn victims in Taiwan, Hurricane Matthew aftermath in Haiti and in 2017 we donated over $10,000 through Red Cross to the people who lost their home caused by Hurricane Maria in Puerto Rico, and in 2018 we donated $10,000 to the “Hurricane Michael” victims and “Measles & Rubella Initiative”, a global partnership ensuring no child dies from measles. 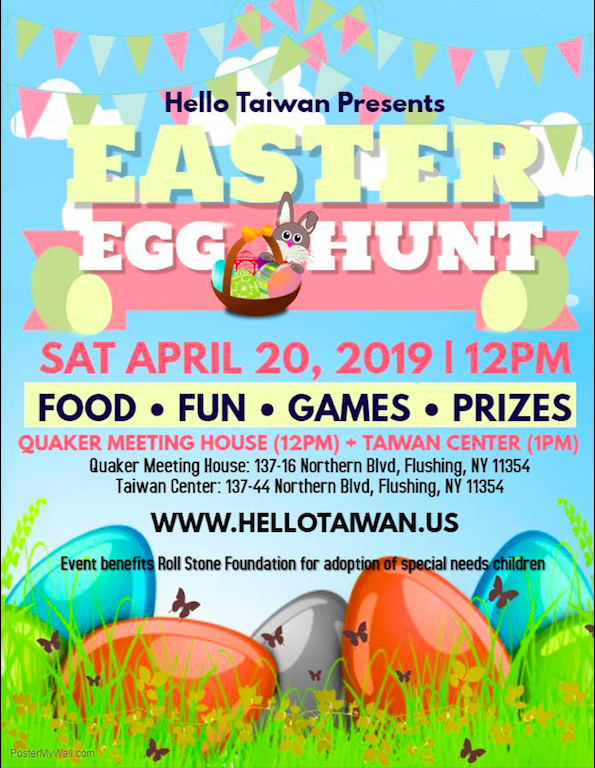 At this Easter event, Hello Taiwan partners with The Rollstone Foundation to raise funds for special needs children to find them a home in the United States. 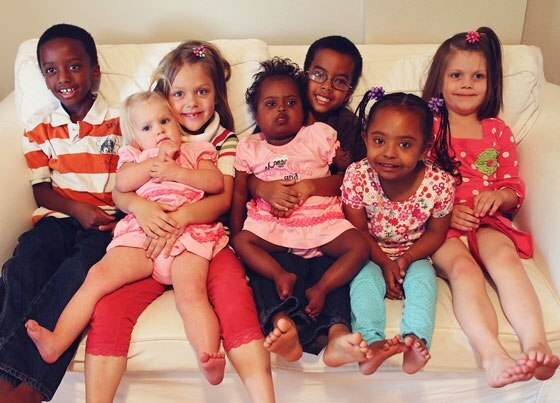 Many of these children, particularly in third-world nations, are children with special needs. They may be HIV Positive, suffer from diseases such as Down Syndrome or Cerebral Palsy, are blind, or were born into extreme poverty that has taken its toll on their small bodies. These are conditions that are treatable in the United States, but they are death sentences for their home countries. For many, adoption is literally the difference between life and death. From the success of last year’s event, we would like to once again make “Hello Taiwan” a family event so kids are encouraged to join to understand the meaning of “giving” and help to support the great cause to raise money to help our communities. Also we would like to provide kids with lots of games and activities to enjoy and celebrate Easter together! So with good food, good music, and a good cause – what else could you ask for? Admission: $5 (both adults and kids) and the ticket allows everyone to exchange a bubble tea plus access to all the activities plus fun prizes! Organizers: AsianInNY, TAANY, New York Taiwan Center and Taiwanese Chamber of Commerce of New York. Participating groups: North America Taiwanese Women’s Association of New York, Taiwanese American Association of Greater New York, Taiwanese American Council of Greater New York, Taiwanese American Professionals of New York, Formosan Association for Public Affairs Young Professionals Group, Federation of Taiwanese Student Associations in New York, NYC Taiwanese & Taiwanese Friends Network, Association of Taiwanese Alumni in Greater New York, Taiwanese Junior Chamber of Commerce of New York and Taiwan Center. 今年的活動也希望讓小朋友認識了解「給予」的意義和「慈善」的重要性！鼓勵家長們攜帶小孩一起參加，藉此活動讓孩子們共同參與，享受溫馨的家庭日並為公益發輝一己之力！大人、小孩的門票都是5美元，門票包括一杯珍珠奶茶, 並享受免費舞蹈和現場樂隊表演, 畫臉、手工藝製作、魔術表演、互動遊戲等, 活動的盈餘和捐款將會給滾石基金會，用於幫助身心障礙的孤兒。THANK YOU! No user commented in " Hello Taiwan Presents: Easter Egg Hunt and Activities for Families "